OPEN LINE ALS EERSTE IN NEDERLAND: Parsek | Vitaly Technician Certified! In een echte 'partnersfeer' hebben Open Line collega's als eerste in Nederland het 'Vitaly Technician certificeringstraject' succesvol doorlopen. 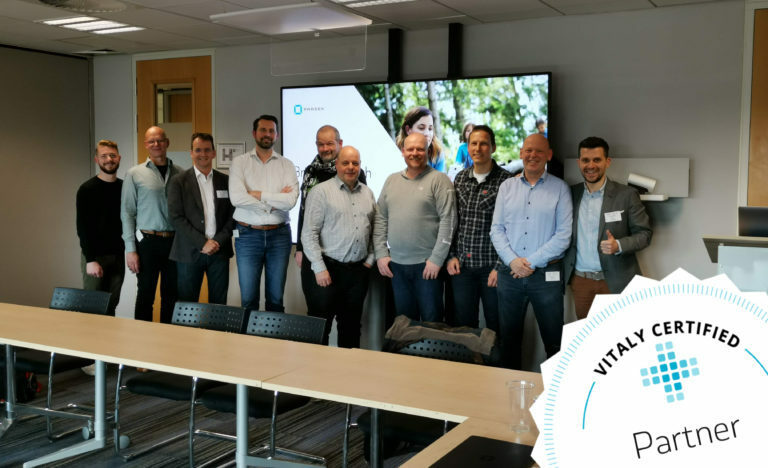 Parsek: "The Vitaly Certification Program for Associate, Sales consultant and Technician Training enables partner-employees to competently represent the Vitaly solution offering in the Netherlands". Proficiat mannen! Het Vitaly eHealth Platform is een belangrijke component in de Open Line propositie: 'Zorginformatieuitwisseling als dienst'. Lees meer op het Open Line Blog of op onze zorgpagina.